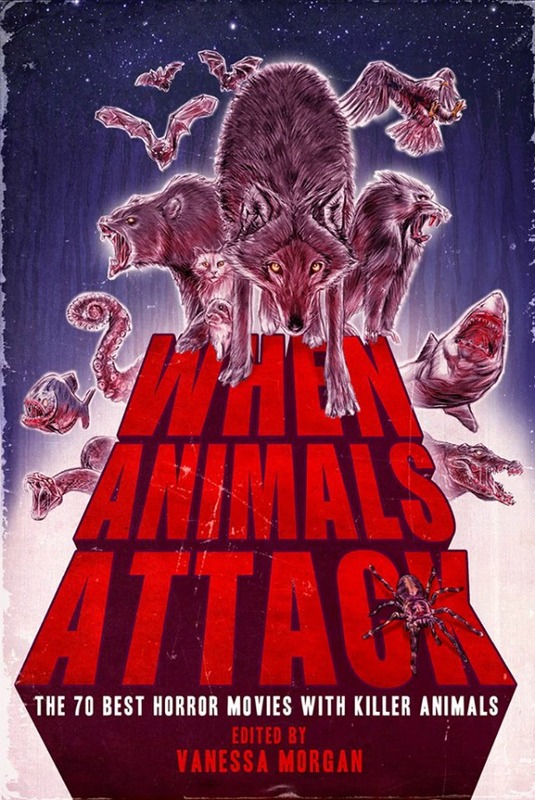 This week's Caturday Movie is brought to you by Daniel Alves from The Overlook Theater and was previously published in When Animals Attack: The 70 Best Horror Movies with Killer Animals. The film opens with a crazy cat lady being killed by what seems to be a giant cat. We’re then introduced to our victims: a professional couple with a young daughter. This initially perplexed me since a good slasher needs at least five potential victims, and those victims generally do not include children. However, we soon see that the couple is buying the home of the crazy cat lady from the opening. A young couple with a small child buying a suspicious new home; this isn’t a slasher movie; it’s a haunted house film! The creators of this movie decided to take a haunted house narrative but replaced ghosts with feral cats. Fortunately, it’s a very good haunted house movie. The formula usually has a shocking/mysterious intro, some jump scares or deaths of minor characters to keep up suspense, and then the supernatural force reveals itself for the climax. Most of the story, however, is about the victim’s day to day life while the ghost gears up for act three. The key to a successful haunted house story is to make that day to day almost as, if not more, interesting than the supernatural action, and Strays delivers. We’re introduced to the central conflict almost immediately as the realtor who sold our victims the house is revealed to the wife’s younger, hotter sister, who the husband (a lawyer) is helping through a nasty divorce for free. It’s quickly established that the wife feels threatened by her sister, who is a successful realtor while the wife herself is an unsuccessful author. She feels guilty for being supported by her husband and for convincing him to move to the country. The wife also fears that her sister is after her husband and that his reluctance to charge her for his legal services is due to his attraction to her rather than her status as his sister-in-law. Despite (or perhaps because of) her insecurities, the wife is clearly in charge of the relationship. It’s made explicit that the move to the country is her idea, but this is also shown in other ways. For instance, the wife is the one that drives whenever they’re in the car together (except once, which immediately leads to a car accident). As the film progresses it becomes apparent that the wife’s suspicions are half-justified: her sister is after her husband, but her husband is mostly oblivious. He’s distracted by the divorce case and his cat allergy, an allergy which acts up despite there (initially) being no obvious signs of cats. The couple and their daughter go through their routine of settling into the new home; dealing with a new much longer commute, not working on that new novel, having non-arguments about money, setting up utilities, not noticing that the electrician has been killed by feral cats and left in the basement; normal stuff. Also, the wife sees the husband giving her sister a hug and assumes the worst. During this time the feral cats increase their harassment of the family, so they call an expert. The role of paranormal expert in haunted house films is a problematic one. The character can be interesting (like in Poltergeist), but they’ve been overused to the point of ridiculousness (I’m looking at you, Sinister). In this case, the condescending veterinarian called to deal with the felines explains that feral cats are territorial monsters that have no fear of humans and after some prodding gives the husband a squirt gun. Though worried that the problem is more serious than the vet believes, the family is determined to stay in their new house. Even if they wanted to leave at that point they can’t afford to move. The aforementioned non-arguments about money mostly concerned the failure of the wife’s previous book and how it was a terrible time to buy a new house. The cats finally launch their attack, forcing the wife and daughter to hide in the tool shed/playhouse. The sister enters the house unaware of the murderous cats, and the wife rushes in to rescue her. When the wife returns to the shed/playhouse she finds her daughter is gone! Fade to black. Then the husband arrives, and the movie continues. After an exciting showdown, we fade to black. Then come back for an epilogue and fade to black again. Then come back for another epilogue and fade to black again. A fade out is not used for a scene transition anywhere else in the film, why it would be used four times during the film’s climax is a mystery to me. Perhaps the filmmakers, having filmed multiple endings, decided to use as many as they could? “Like herding cats” is used as a metaphor for an unfeasibly tedious task, yet the film features acting from a clowder of cats. They’re mostly present for The Birds-style staring matches, but that in itself is impressive. The action mostly implies the cats are attacking, but it’s always actions you’d believe cats could take. The cat leader (who, sadly, is not a giant cat) displays his ugly mug for numerous close-ups, making me wonder how they got the cat to hold still for makeup; or, alternately, how they found such an ugly animal. For all the praise I have heaped on this film, it’s not without flaws. The whole production gives off a noticeable “made-for-TV” vibe; the lack of recognizable actors is one factor, but the lack of sets is much more obvious. Other than driving scenes, there are only three scenes that do not take place in the house. These scenes nominally take place in different locations but are all obviously filmed in the same spot. The crew does a good job-making use of the house itself, it feels like its own character; but the husband’s office and the sister’s apartment being the same set really hurts suspension of disbelief. Despite, or perhaps because it features no ghosts or overt supernatural phenomena of any kind, this is an excellent example of a haunted house film. The filmmakers play with tropes just enough to make a unique and satisfying story while following a proven framework. 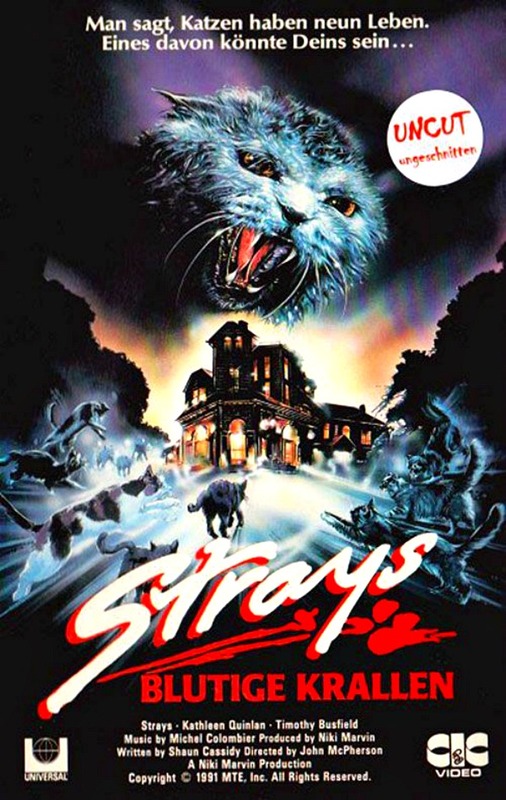 This essay on Strays was previously published in the book When Animals Attack: The 70 Best Horror Movies with Killer Animals. Clever to catch the double use of one room. Heard of the film but not seen it. Glad to find your blog. I love me some horror movies and ones with cats only intrigues me more! I do believe I saw this movie back in the day. I need to watch it again, as your description sounds vaguely familiar and the film does sound interesting. Thanks for linking up with Cat Thursday! Happy to discover your blog. I cherish me some blood and guts films and ones with felines just interests me more! You should definitely check this out if you need to write your theoretical framework soon. It was helpful for me and my friends when we were in college. You should have clearly define topics which you want to learn and start collecting study material according to that topics. Also some Java Assignment Help service you can use to get knowledge as well. Just proceed accordingly and don’t waste your time because time is precious. Australiaassignmenthelp.com specialists are here for your assistance. They will decrease your scholastic weight and present the best Assignment Help administrations on the web. We give the best dissertation writing service. Our authors hold bosses and Ph.D. degrees from the recognized colleges over the globe. مادة البيرلايت: وهي عبارة عن مادة معدنية متعددة الجوانب ومكلفة مادياً، وهي من المواد التي تستخدم للعزل الحراري، إذ يتم فرد هذه المادة على السطح بطرقٍ خاصة، أو يتم وضعها مع الخرسانة، حيث تعمل هذه المادة على عكس الحرارة، كما انّها تعمل كمادة عازلة للصوت.